wears flower crowns and frolics through the desert with you. That's how that old song goes, right? In early April, a few weeks before the festivals of all festivals — COACHELLA! 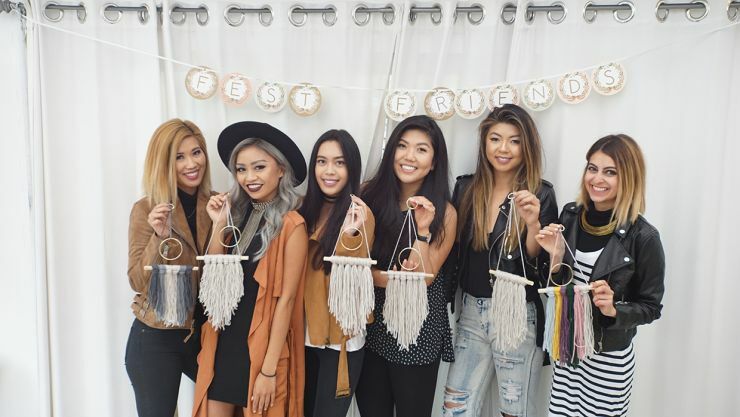 — we teamed up with zeroUV to host the perfect pre-party brunch! True to the Love Culture swag, our brunch included way too many mimosas at Cote in Brentwood, super cute handmade decor for that boho feel, and a DIY activity led by blogger @homeyohmy! Our menu was ever so elegant, ranging from crackers and various cheeses (our favorite's Gouda!) to a carb overload via Amandine Patisserie on Wilshire #almondcroissantsfordays. Each babe was welcomed with a personalized wooden name plate in a basket filled with zeroUV sunnies, PuraVida bracelets, Love Culture jewelry and accessories, Honey & Butter custom macarons, and a handmade bouquet of flowers made by the babes of LC. We think it's safe to say that everyone had too many mimosas. After all the initial snaps and IG pics of the decor were complete and every babe was brunched and buzzed, we began the DIY activity: a super cute wall hanging that probably retails for $Way Too Much.99 on any online boutique. Amy (@homeyohmy) led the craft and the girls were pros. Ok so being crafty is way harder than we remember it being in elementary school; this was not similar to finger painting... at all. However, it was definitely #yarncity up in this b*tch and we had a crafty good time. These wall hangings are everything you want... any more. If you're interested in learning how to make them, check out Amy's post with full instructions! 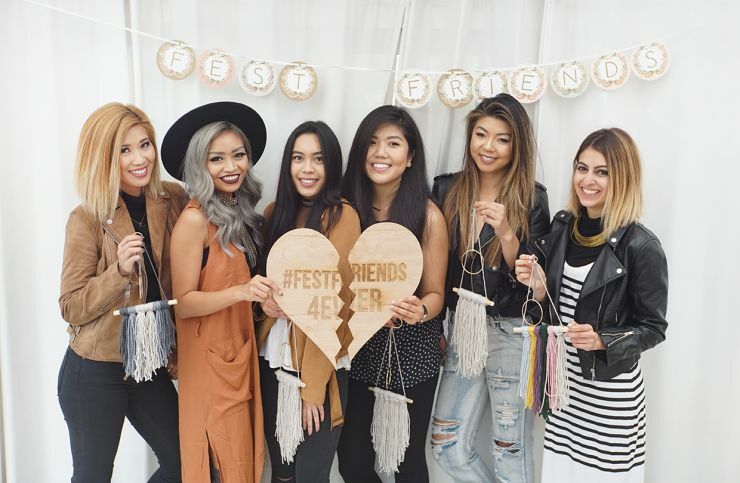 We had the best time with Lisa, Pau, Alyssa, Amy, Linh, and Elaine, and can't wait to see them at Coachella!